Since we are 4 days away from the Hall of Fame ballotting results, we at MUD.com thought we would throw up our ballots and maybe spark up a little controversy, if not at least some discussion. I’ll start it off. Bert “Be Home” Blyleven: BB won 287 games – only one other non-eligible pitcher – Tommy John – won that many and is not in the Hall. He is fifth all time in strikeouts with 3,701. His 60 shutouts, ninth all time, are 1 shy of Roger Clemens and Pedro Martinez combined career totals. He threw a curveball that is still used as the standard for comparison among big league pitchers today. He was a horse, completing 242 of his starts. He finished in the top five in ERA six times. 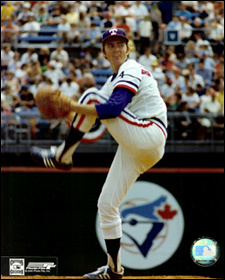 He threw a no-hitter and helped two teams to world championships. Rickey Henderson: Most steals, runs, Ever. 2nd in walks, ever. Enough said. 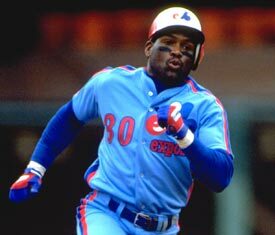 Tim Raines: His hit totals seem low (still no slouch at 2,605), but when you take into account his combination of getting on base, stealing bases, and scoring runs, the result is a lead-off man better than anyone except for Rickey Henderson. After a cocaine scandal early in his career — which he handled with far greater strength and honesty than any player associated with steroid use has, it should be noted — he matured into a universally respected team leader. While Raines ranks fifth all-time in stolen bases with 806 thefts, he also possesses the highest stolen-base percentage of all-time, besting such noted base-stealers as Ricky Henderson and Ty Cobb. Throw in a solid career on-base percentage of .385, his 2,605 hits (68th all-time), his 1,330 walks (33rd all-time), and his 1,571 runs scored (46th all-time), and it’s clear that Raines has the kind of skill set that is timeless, and should have a great deal of appeal now in the post steroid-era. 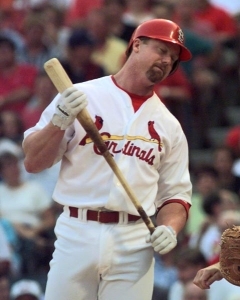 Mark McGwire: Although some might say it is obvious he used performance enhancing drugs, nothing was ever proven and I can’t leave him off until there is concrete evidence proving otherwise. The numbers are just too good. He used andro, which was legal at the time, and shouldn’t be crucified for it. Leaving off (and who will probably get elected): Jim Rice. The argument that he was the most “feared” hitter in the 70’s and 80’s doesn’t sit well with me. This is his last year on the ballot and I hope he does not get in. He was a base clogger, a GIDP machine and a mediocre defender at best . Furthermore, Rice appeared to benefit greatly from playing in Boston before the construction of a new press box changed the wind patterns and made Fenway Park less of a hitter’s haven. Rice posted a .920 career on base-slugging percentage at home and a .789 mark on the road. For the sake of comparison, San Francisco Giants outfielder Randy Winn recorded a .790 OPS last season. 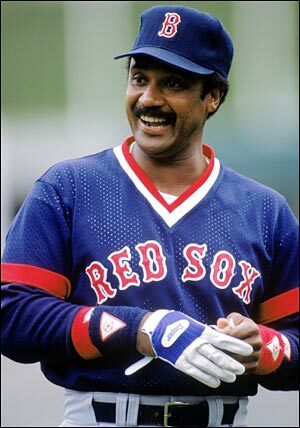 If I was going to vote for Jim Rice, I think would have to give just as much if not more consideration to Andre Dawson. He was such a great all-around player. He won the Gold Gloves. He hit the home runs. He stole the bases, and Jim Rice wasn’t able to do that. I am not, however, voting for Dawson due to his career .323 OBP.